Margoli is the beloved Queen of the Butterflies. She is good queen and takes very great care to see to her subjects well being. Mary Katherine says: So enchanting! I love the details on all the butterflies! ~ Reply? Ann Fiser replied to this: TY! Erich Heidewald says: Good job on the good queen. 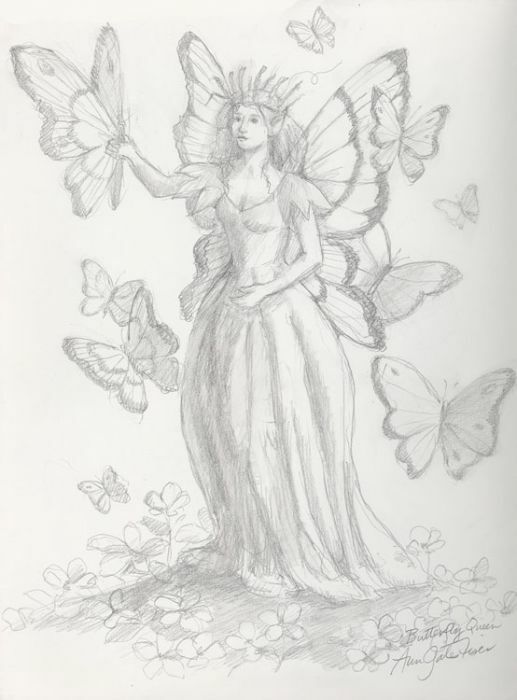 The butterflies lend a lot of depth to the sketch. :)	~ Reply? Ann Fiser replied to this: Thank you! Sue Rundle-Hughes says: Absolutely gorgeous! ~ Reply? 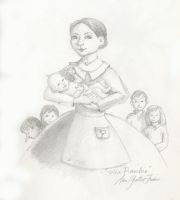 Rob Carlos says: I love the soft touch you use in all your sketches. And SO MANY BUTTERFLIES! ~ Reply? Ann Fiser replied to this: Thank you so much!